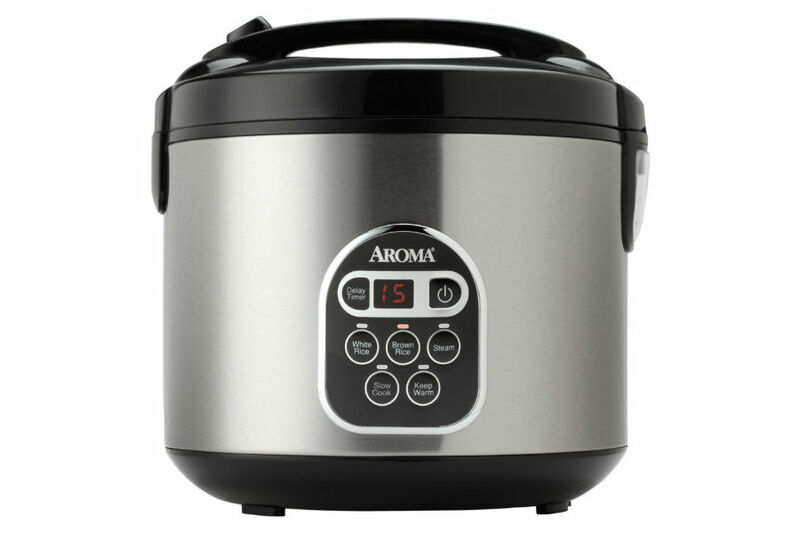 The Aroma ARC-150SB rice cooker is an excellent choice for a family starting out or for a family on a very tight budget. This cooker can be used for either small or big families since you can use it to cook up to 10 cups of uncooked rice. I think it is always better to have a bigger size than a smaller one especially for a family that is starting out. That way it will have more room to cook for a growing family and for occasional guests. This item is more of a three in one gadget. It will save you money from buying a steamer and a slow cooker. The inner pot is non stick so it makes cleaning up a snap. The body of this cooker is made with stainless steel. It looks super nice. It will match perfectly with the rest of your stainless steel kitchen items. Is The Inner Pot Dishwasher Safe? Can I Buy Replacement Parts For The Model? What Is The Cooking Time For Rice? Some of you might ask what this gadget can do for you when you bring it home? Seriously, this rice maker is a very good buy in my opinion while writing this article. First, it has a very affordable price. Second, it has a lot of cooking functions. Third, it is made by the very famous brand name Aroma. Fourth, it has very good ratings and is very popular. Here are the following functions this cooker has. Power Button – This is the button you can press to turn it ON or OFF. Some rice makers don’t have an off and on button. If you need to turn it off you would have to unplug the cord. I like having an off and on button. White Rice – Press this button when you are cooking white rice. It will automatically switch to keep warm mode when it is done cooking, so you don’t have to worry about it being overcooked. It will make a beeping sound to alert you that the rice is done cooking. Brown Rice – If you are cooking brown rice then you will need to press this button, and also use this button for whole grain rice. Cooking brown rice takes a much longer time than white rice. So be sure to prepare ahead and give enough time to cook them. Slow Cooker – If you still don’t have a slow cooker then this will save you the trouble of buying one because you can use this rice cooker to cook slow cooker recipes. It will also save you counter space and money. I like cooking chicken, beans and beef stew in my slow cooker sometimes. A slow cooker is easy and convenient to use for cooking food. Keep Warm – The keep warm function can help you to keep your cooked rice warm when you are ready to eat. Please note, it is not recommended to keep your rice in the rice cooker for more than 12 hours. The display screen will show you how many hours have passed when it is in the keep warm mode. It will start out counting from zero when it is done cooking. Delay Timer – Are you very busy with your schedule? If so, this function will be very handy for you. You can set the time to cook the rice whenever it will be ready. For example, you can prepare the rice in the morning and set the timer to be ready at night. Steam – The steam function is great to save time on cooking your dishes. 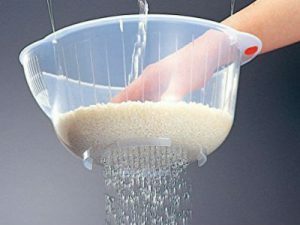 This function can be used at the same time as cooking the rice or you can use it alone to steam your dishes. Steaming food is much healthier than the other kinds. Are you having trouble making a decision between these two models? If so, here are some of the things I have found. These two models really don’t have that much differences. They both look very much alike in terms of functions and rice cooking capacity. The labels for the menu setting locations are a little different. The biggest feature difference for the ARC-150SB model is it has a slow cooker and the ARC-1010SB has the Sauté-then-Simmer. The dimensions for 150SB are 10.8 x 11.2 x 10.8 inches and the 1010SB is 10.8 x 11.8 x 10.8 inches. They both weigh about 5 pounds. The included accessories are the same with a steam tray, spatula, and measuring cup. The biggest difference is there are a lot more consumers who bought the Aroma ARC-150SB model. The averages for both models are excellent. 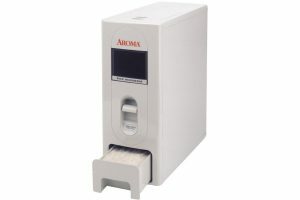 Click here to buy or read more about the Aroma ARC-150SB and click here for the Aroma ARC-1010SB. I am sorry to say, this model doesn’t have a retractable cord. It would be nice if it did. The lid is NOT able to remove for cleaning. It is designed not to be able to remove it, but if you really want to remove it you will have to take out the screw. It is not like the other one that is designed to be able to do so with just a click to attach it back. A more high end rice maker has both a removable and retractable cord like the Zojirushi NS-ZCC10. According to the manual, it is fine to wash the inner pot in a dishwasher along with the rest of the accessories, but the inner pot might have a slight discoloration. If that happens, it is normal and it won’t affect its performance. It is strongly recommended that you not use any harsh abrasive cleaner or scouring pad to wash the inner pot. Doing so will damage its nonstick coating. To be honest I wouldn’t wash it in a dishwasher even though it says it is safe to do so. I usually hand wash my inner pot every time when I need to even though I do have a dishwasher. I usually wash it two to three times a day for meals. I just want the nonstick cooking pot to last as long as possible. If the nonstick starts peeling or having scratches then it is time for a new replacement. The measuring cup, steam tray and serving spatula. It is nice that it includes those items so you do not have to spend more money to buy them separately. Some other gadgets will make you do that. Just be sure to use the provided measuring cup for the rice for this model for accuracy and not other ones you might have. The answer to that is yes. For whatever reason you lost or broke a part, you can buy all the replacement parts from the original site of Aroma. You can buy replacement parts for the nonstick inner pot, spatulas, steam tray, steam vent, measuring cup and condensation collector. You can just buy the only part you need separately. Here is a cooking time chart for you to take a look at for white and brown rice. Note the cooking time is approximate. The more rice you cook the longer time it will need to be ready. This Aroma ARC-150SB rice maker has an excellent average rating with a lot of happy users. Not to mention it is very popular with consumers. It also has a very good price while I’m writing this article. Pros: This cooker is very easy to use and it has an affordable price. Great delay timer to prepare at night and eat in the morning. All parts can be replaced without having to buy a brand new rice maker. Cons: The lid is a little hard to clean because it is not removable. It takes a little longer to cook the rice. This cooking gadget has a 1 year limited warranty. It is to provide protection for the product in case of defects. If you need a copy of the manual, you may find it by clicking here and you can also find a slow cooking manual by clicking here.